You're in luck! We're extending our sale until October 27! We're so excited to announce that we decided to give you one more week of our Clearance Sale!!! Why did we do this? 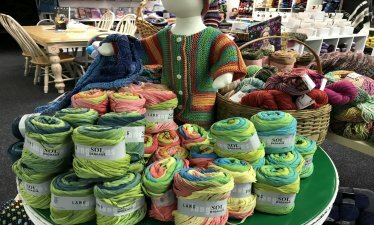 We're making room for tons of new and exciting yarns! See our sneak peek video here. Our clearance section will be anywhere from 20% to 80% off! Our Clearance Sale will be ending on Saturday, October 27. We hope to see you soon! Can't make it to the store? Shop online here! 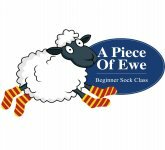 Want to learn how to make socks? This class teaches the 4-needle technique. Your needles & yarn will need to be purchased before the first day of class so you can get started right away. A basic sock pattern will be provided. This is a great class if you have completed the Beginner Knitting class! Sign up here. 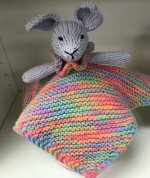 Come to join us to make this adorable lovey blanket! There is some homework before the class. This is one two-hour class. We recently sent out an email with a link to review us on Google that did not work correctly. We apologize for the inconvenience this may have caused! You can now review us here. Or at bit.ly/APOEGoogle. NOTE: The link we provided is case-sensitive.